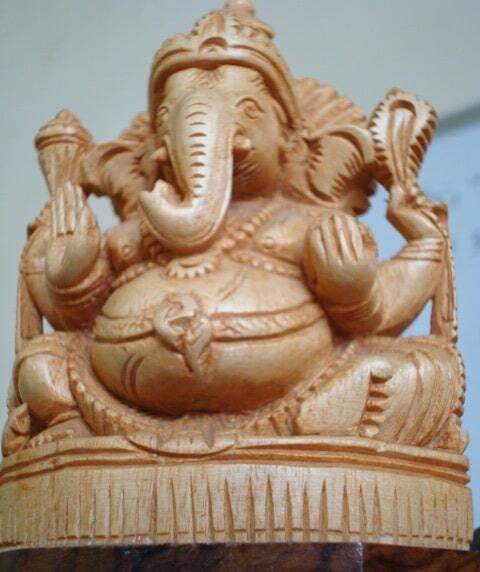 If Ganesh were a trial lawyer | Jon Katz, P.C. Ganesh. Copyright holder permits copying and distribution of the image. A client who was born in India recently gave me a beautiful framed painting of Hindu god Ganesh, created with simple red brush strokes on beautiful textured paper. My client knows of my interest in Eastern and Western spirituality, including my fascination with and admiration for the late Neem Karoli Baba, Ram Dass, and Baghavan Das, with the first having been an Indian holy man, and the next two having learned closely and deeply from him since the 1960’s and having been great teachers in their own rights. Around two years ago, a client gave me his wallet-sized picture of Baba-ji, which I keep displayed in my car. I understand that Ganesh’s worshipers see him as a god of success and destroyer of evils and obstacles, which is just the achievement I want in court.